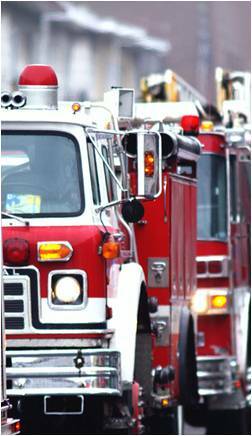 A new fire code regulation in Montgomery County, Texas would require daycare operators to install fire alarm systems with manual activation systems. Several daycare providers have taken issue with the new regulation, saying that it would place an unfair financial burden on their businesses. Concerned daycare owners and operators went before county commissioners recently to ask that existing facilities be grandfathered under a November 2007 fire code. Becky Williams of Kiddie Cabin Daycare testified that retrofitting her center with the new fire alarms would cost up to $10,000. She went on to say that she has installed fire detectors in every room of the center, and that she performed fire alarm drills with the children every month. The county Fire Marshall stated that he is required to inspect daycare centers for compliance once a year on behalf of the Texas Department of Family and Protective Services. He said that he will begin using the Life Safety Code, which was adopted by the Texas Department of Insurance in October of 2009. Protecting our children is a priority, but of course it cannot come at the expense of driving daycare centers out of business. Any regulations that better protect children should be considered very carefully before being thrown out for strictly financial reasons. It will be up to the Montgomery County commissioners to decide whether to exempt or grandfather any businesses under the new fire codes. Read more about this Texas showdown over new fire code regulations at County to revisit daycare issue.